Easeaccounting provides cloud hosting solutions to manage your business from anywhere, anytime and simplify accounting and bookkeeping for your business regardless of the size, setup or location. 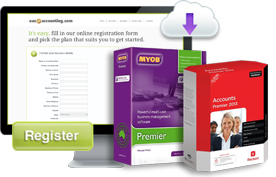 We offer a cloud computing service, meaning we make accounting software such as MYOB, QuickBooks and ReckonAccounts available to you online from anywhere, anytime. Traditionally software would be installed and run on your local computer or network, cloud computing on the other hand is located on powerful, central, remote servers. All that is needed is access to the internet, then you can remotely access the software in a safe and secure environment from anywhere in the world.